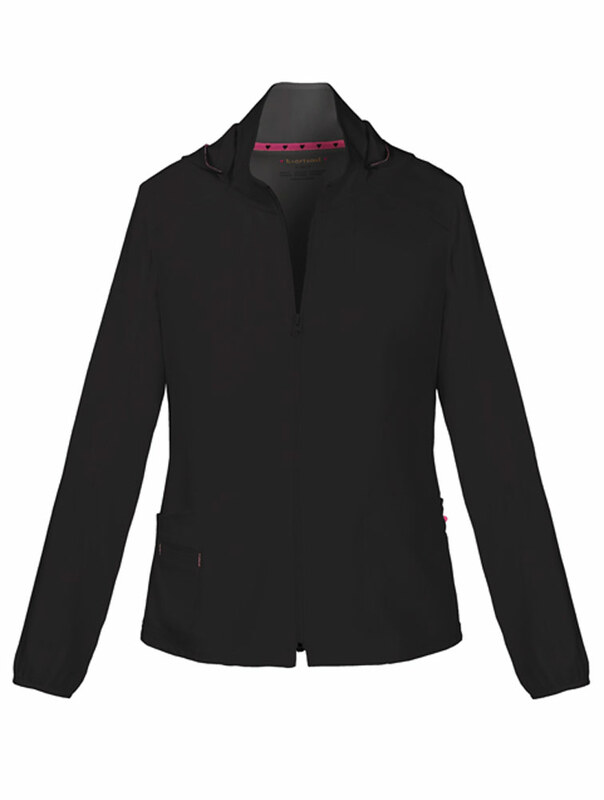 A zip front, warm-up jacket has a detachable hood, front and back princess seams, patch pockets, and an outer welt pocket with signature pink contrast bar tacks. 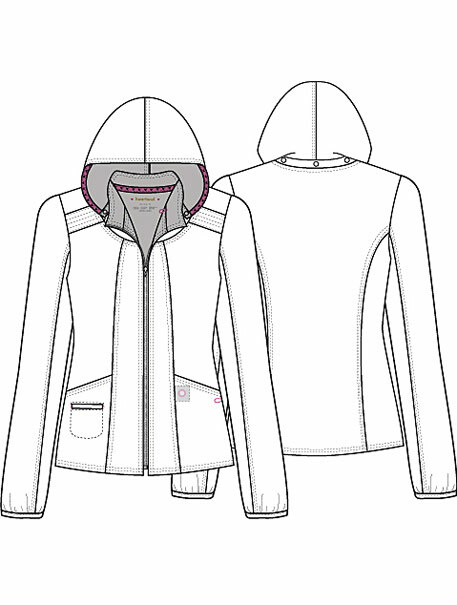 Also featured is a hidden functional pink grommet and bungee loop for headphone cords, an exterior pink bungee loop, a signature woven tape at the back neck and along hood edge, and elastic binding at sleeve hem. Center back length: 24 1/2".